Here are my 12 picks for exceptional places to eat in 2012. In all cases, the food was good. In many cases, the dining experience was even better because it was spent with friends and loved ones. 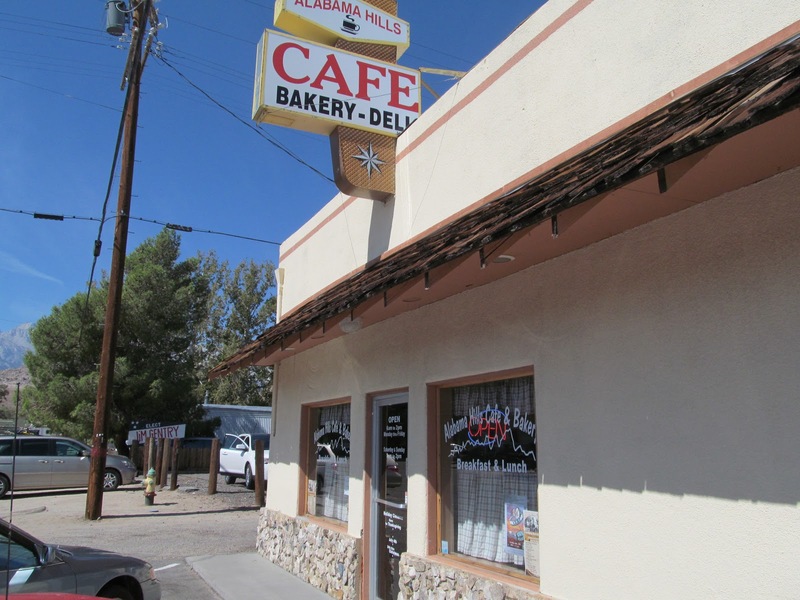 The Alabama Hills Café, in Lone Pine, California the southern gateway to the Sierras, serves traditional, innovative and healthy breakfasts. When Dennis and I stopped there in mid-September, we enjoyed several different types of pancakes. While enjoying breakfast there, we saw, all around the room, happy eaters enjoying fruit salads, waffles piled high with toppings healthy and decadent or home-made pastries. At the Barnsider in Colonie, an Albany, New York suburb, you have many choices. The first is whether to dine casually in the restaurant’s bustling Iowa Hawkeye Grill or in its formal, but comfortable dining room. Then you can choose from beef, chicken or fresh fish dishes - - or a vodka or gin martini. Steak and seafood are Barnsider specialties, but we know vegetarians who have enjoyed the restaurant’s extensive salad bar and potato/vegetable side orders. Cafe Bizou, in Pasadena, California, offers a delightful variety of entrees. Whether the entree is vegetarian, seafood or beef, the food is delicious. The service at this restaurant is exceptional, with servers who are attentive but not overbearing. Max, owner of Café Max in East Hampton, New York, bills his restaurant as “the Unhampton;” fortunately that slogan is only half true. Café Max offers the best of the Hamptons, without the cranks and crowds. The café has friendly staff, fresh ingredients from local farms and fishermen and welcoming table service. Although Max’s offers a varied, reasonably-priced menu, I keep reordering three favorites: the house salad with creamy tarragon dressing; the Max Burger and the dry martini - - straight up with a twist. The Courtyard, a worldwide Marriott hotel brand, is one of our favorite places to stay. The Courtyard in Old Pasadena, California, has an excellent restaurant and room service. They offer filling, nutritious meals and snacks, served by friendly and capable staff. My favorite here is the breakfast sandwich: two scrambled eggs, cheese and sausage on an outsized English muffin. The Green Street Tavern, on Green Street in Pasadena, California, served us one of the best lunches of the year, possibly the decade, this past Christmas Eve. The Tavern turns restaurant classics into gastronomic wonders with a combination of fresh, quality ingredients and well-chosen variations. For example, adding avocado to a turkey pannini and keeping it out of the sandwich press resulted in a light, yet filling lunch that carried me through a long afternoon and evening of last minute shopping and celebrations. The appealing menu at Milano Restaurant, also in Colonie, offers traditional and innovative Italian dishes. Depending on your appetite and price; you can order a complete dinner or a pizza. Along with the good food, the restaurants bartender makes exceptional cocktails, particularly their Manhattan with Wild Turkey bourbon and served straight up. Pinocchio’s Pizza in Altadena, California, a suburb north of Pasadena, offers delicious, reasonably-priced lunches and dinners. 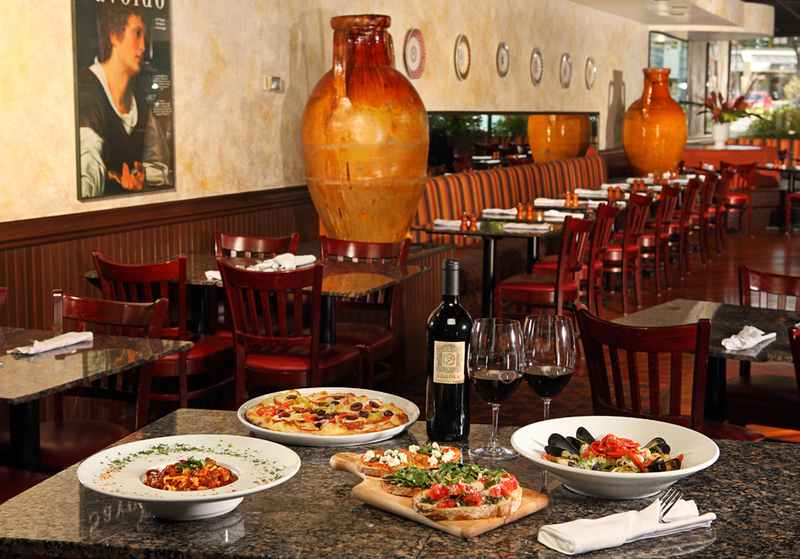 Our family has enjoyed the restaurant’s pasta dishes, pizza and salads. All these choices are delicious and served in an appealing manner. During fall and winter, an added treat at Pinocchio’s is a wonderful variety of football on television. Ruby Tuesday’s is a national chain with a varied menu and healthy meal choices. I find the Ruby Tuesdays near Carrier Circle in Syracuse to be the nicest of the chain’s locations in upstate New York. It offers diners who have been in the car or at the desk all day a bracing walk to and from the hotel. Its food is fresh and appealingly presented and the staff are capable and welcoming. The Tender Greens in Pasadena is part of a small chain of restaurants devoted to sustainable dining. Service is cafeteria-style but the food is anything but steam table fare. The dishes, whether vegetarian or omnivorous, are reasonably priced, attractively presented and made with tasty, natural ingredients. Thai’D Up in Mammoth, California has good food and convenient hours for hungry and thirsty anglers - - and other travelers. The restaurants Pad Thai has a rich, brown sauce and many other Thai mainstays are on the menu. Thai’D Up offers a good selection of beers from national and local microbreweries. If you visit Tom Cavallo's in New Hartford, a suburb of Utica, New York, you will find one of the best red sauces in New York state. The sauce makes anything on the menu totally wonderful, including my favorites, a sausage and pepper pizza or linguine marinara. There is also magic at the bar in Cavallo's: for some reason, any beer brand ordered here tastes colder, crisper and better than anywhere else.